There is a common misconception that their property ownership rights are absolute. The truth is, however, that the government can take away any private property right without the owner’s consent. This is called eminent domain, also known as condemnation, and it occurs when the federal or state government—or even a non-governmental entity, such as a public utility—takes over private property for the public good or public use, without consent. To condemn private property, the condemning authority must follow a specific procedure and pay just compensation to any party with a compensable interest in the property. A “compensable interest” would be, for example, fee simple title, an easement right on the property, or a lease. But since the formal condemnation procedure is very expensive and time consuming, the condemning authority will often try to first negotiate the purchase price of the compensable interest directly with the interest holder. This can be a challenge if the interest holder is a condominium or homeowners association. If community property is implicated in a condemnation, the association will usually be contacted by the condemning authority’s third party agent to discuss the property interest and sales price. The agent will then notify the association of an appraisal date. The association should consider having its property manager or other representative present for the appraisal to take note of whether any monuments, irrigation, or other improvements are affected by the condemnation. 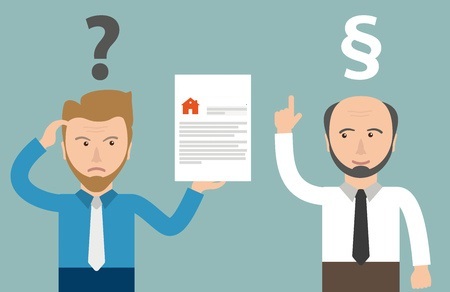 Depending on the amount of community property involved, and the number of improvements thereon or affected by the condemnation, it may make sense for the Association to obtain their own appraisal as a basis for negotiating a higher purchase price. If the parties cannot agree on just compensation, the condemning authority will likely proceed with a formal condemnation action. The “Declaration of Taking Method” and the “Special Master Method” are the most commonly used condemnation procedures. The Declaration of Taking Method is commonly used for public transportation projects like road widening and public utility projects. Under this Method, no evidentiary hearing is required to determine the amount of just compensation. Instead, the condemnor relies on the appraisal obtained during the negotiation, and then it deposits funds equal to the appraisal amount into the court registry. The condemnor will also file a petition with the court that outlines the property interests affected by the condemnation. The procedure is complete once the court reviews the petition and enters an order confirming (1) the condemnor’s authority and (2) that that the property is taken for public use. Those with an affected property interest who are dissatisfied with the just compensation awarded can file an appeal. The Special Master Method, on the other hand, requires the condemnor to first file a petition with the court. The court will hold a hearing with an appointed special master to review the condemning authority’s evidence and evidence from anyone else with a compensable interest. The special master will also address any other legal questions presented. Either the condemnor or the property interest holder(s) can appeal the special master’s decision if dissatisfied with the compensation awarded. Regardless of whether the compensation was agreed to between the parties or decided by the court, an association should review its governing documents and determine if the proceeds should be utilized or disbursed in a certain manner. For example, some governing documents state that any proceeds received through eminent domain must either be allocated to the owners or deposited into the association’s operating account or reserve account to be applied to common expenses. In addition, some governing documents require the association to provide first mortgage holders with notice of any condemnation proceedings, and it is possible that the association may have to pay an owner’s portion of the proceeds directly to the first mortgage holders (presuming the association decides to allocate the proceeds to the owners). In light of the above, community associations that are faced with a condemnation may be surprised and left with many questions. But having some general knowledge of the typical process and procedure should provide associations with a good starting point.